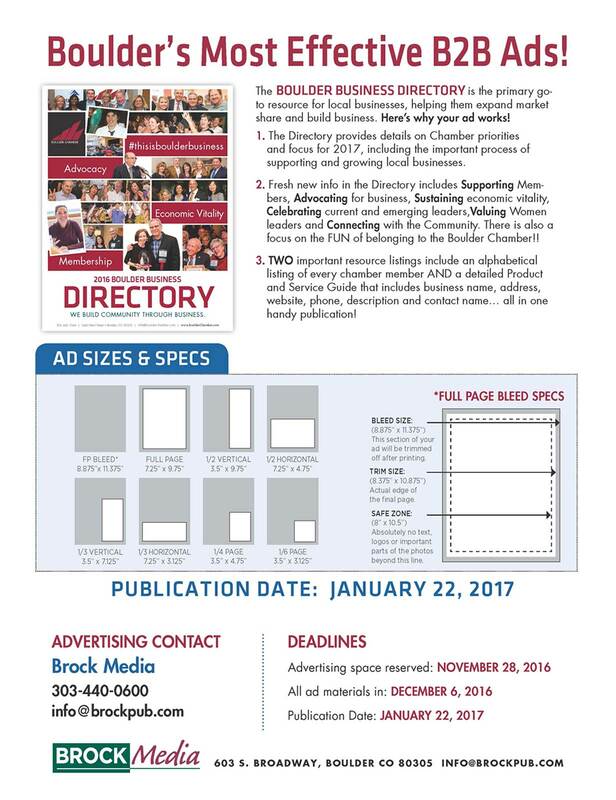 The BOULDER BUSINESS DIRECTORY will focus on the goals, successes, programs and benefits of the Boulder Chamber. It serves as an Annual Report on the Chamber’s accomplishments, and a look ahead at the Chamber’s exciting plans for 2017. THE POWERFUL B2B MARKETING results last for an entire year. 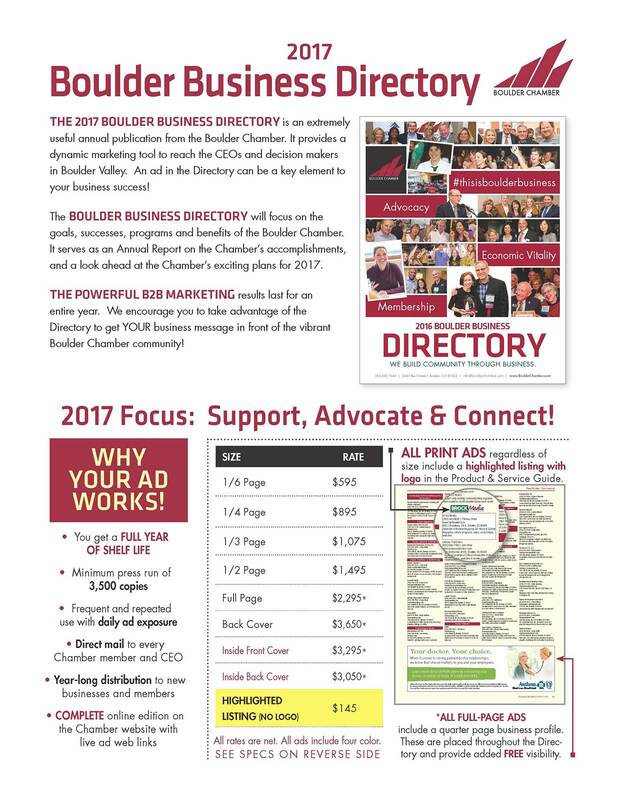 We encourage you to take advantage of the Directory to get YOUR business message in front of the vibrant Boulder Chamber community! Download pdf of 2017 rate card.